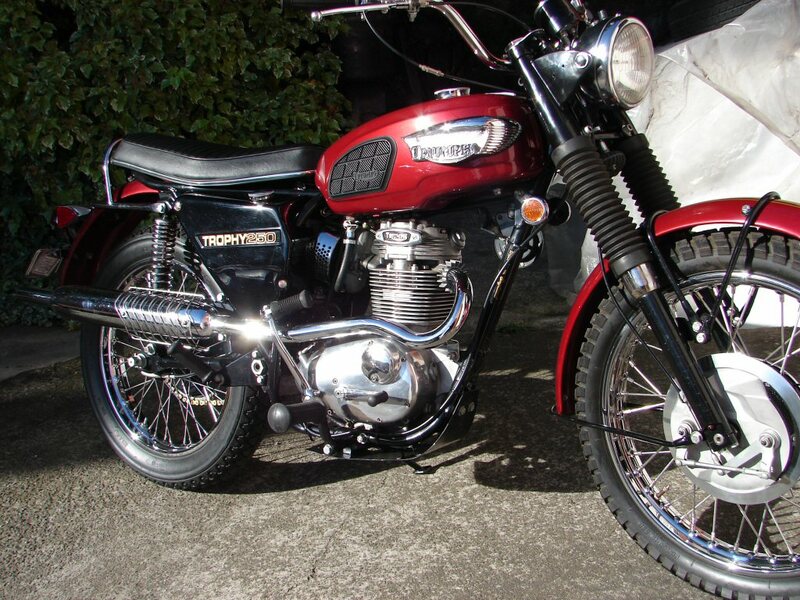 A good friend who had a Harley habit purchased an amazingly restored British bike. I had some knowledge of the bike as it had crossed my path some time earlier when I was refuelling in Kaikoura and a man with a bike on a trailer had struck up a conversation because of my bike. 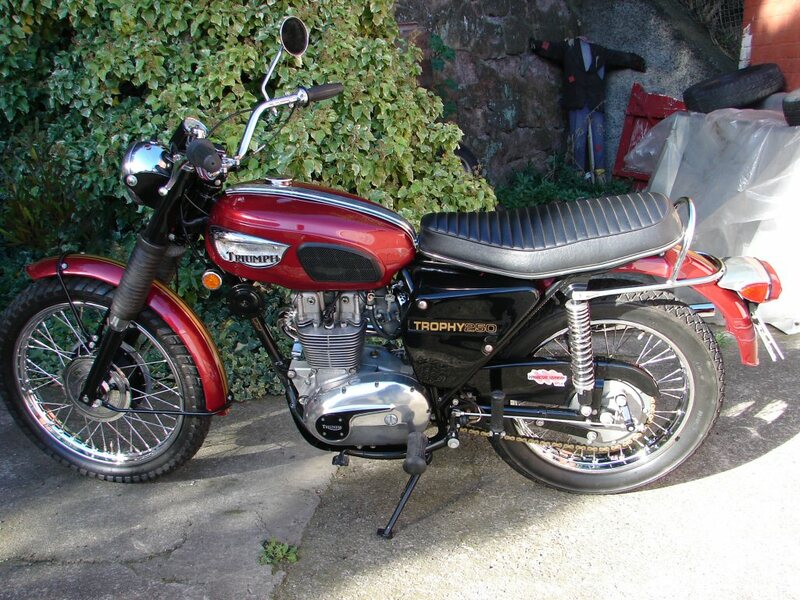 His bike was a Triumph Trophy 250 and he had spent many thousands restoring it. 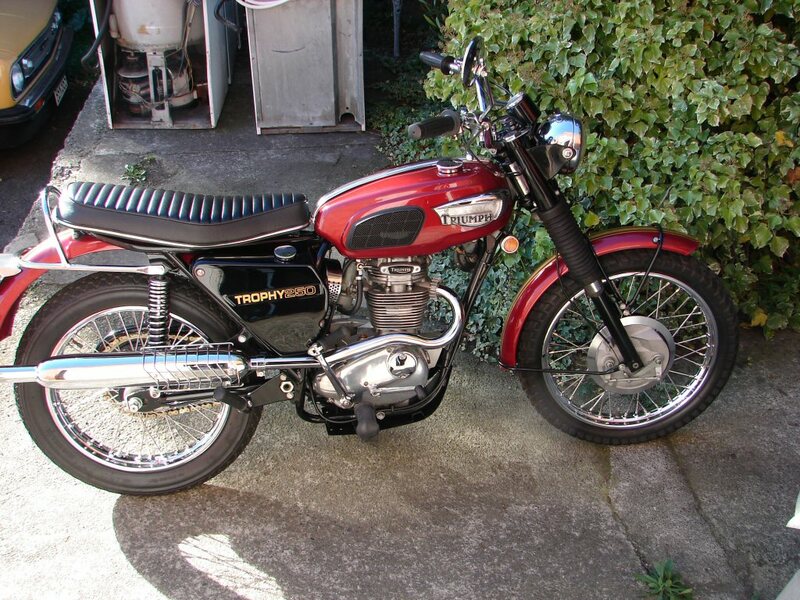 He was on his way to a bike show in Ashburton to display it. I have always "restored" bikes so they could be used. I think he was from a different camp. However, it certainly was a very pretty bike. The gentleman who restored it had spent in the vicinity of 7 thousand dollars in the process. I was aghast that such an amount would be lavished on a humble 250. My friend bought it from him for somewhat less. When he asked to test ride it the chap was somewhat perplexed. He had never ridden it. He had never actually started it. I might have had some alarm bells ringing at that disclosure. My friend was persistent, so fuel was added and the machine was coaxed into life. He rode it around the block. It did not run very happily, which made sense in light of it's history. My friend rode the bike a couple of times. It broke down. On the second ride he called me after it stopped and asked for help. I helped retrieve the bike and got to view it in it's post breakdown state. Seemed it had no spark, and there were signs of oil being expelled under pressure. I checked the points and found oil within the housing. I went looking for a crankcase breather and could not find one. I consulted the internet and found a manual. The breather was actually in the outer gearbox cover. When I looked there I found where the breather should be, but it wasn't. It seemed that a new outer case had been fitted, and the breather hole had never been drilled in it. I was reluctant to start removing cases so instead I fitted a breather hose in an exhaust rockerbox inspection cover, which allowed the hose to be concealed within the frame area and then exit below the lower frame rails. That seemed to cure the problem. The astute may have noticed the engine number which ends in "b25s". 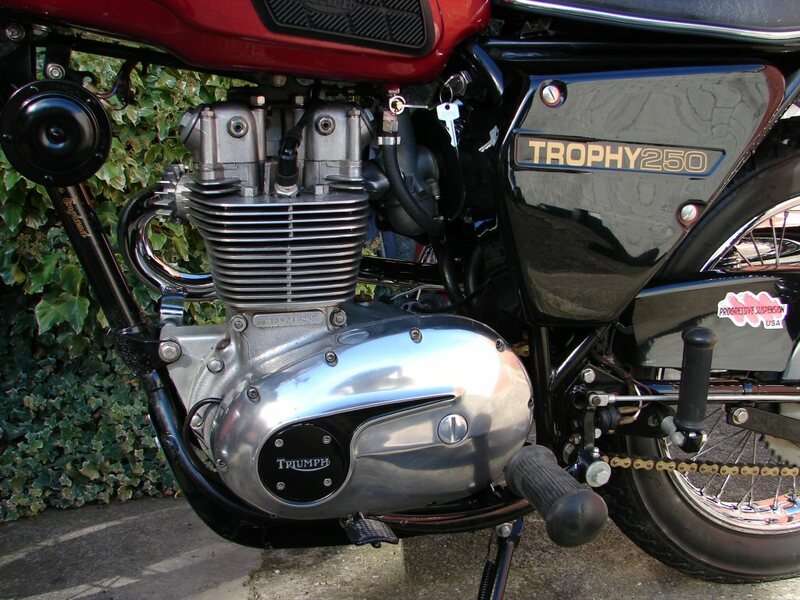 This is in fact a BSA B25 engine in a Triumph frame. The term "parts bin specials" may have been coined about this time. The incestual relationships forged by the amalgamation of various British marques gave birth to such machines. Why invent a new 250 when you already have one? Considering the use that such machines were intended for it hardly matters, and if used in a sympathetic fashion, this bike and many like it would endure for a long and useful life. If you hounded it on the other hand, it would likely explode. I did not get called for any further assistance and I trust that this bike performed well enough on future occasions. My friend sold it but I have no idea to what purpose it may have been assigned. There is a danger with megabuck restorations in that the resulting example of perfection may be simply too good to use. I know myself that a finished rebuild will never again look as good as it did at the moment of completion. That is just the way it is. Nevertheless, that is where some examples get stuck. I am still very pleased to have been able to get hands-on with this one.